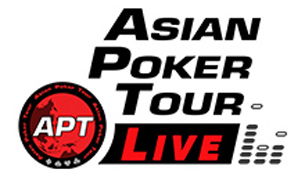 The APT Korea Incheon 2019 is scheduled from August 7 to August 18, 2019 at the Paradise City Casino, Incheon, South Korea. Further details to be posted soon. Just look for the Paradise Rewards counter normally found after you enter the Casino. Present a valid ID and advise them that you would like to apply for the Paradise Rewards card. once done, proceed to the APT Registration Desk. If it's your first time to play in an APT event, our team will assist you with APT Registration System. You’ll be asked to give and/or confirm your details (and/or fill in the Player Release Form and sign it). Show your ID or state your name to our Registration Staff and inform them of the particular tournament/s you would like to join. You will then be issued the Tournament Receipts which will be paid and verified at the Cashier. Bring your paid and verified Tournament Receipt to the Tournament Staff 5-10 minutes before the start of your tournament for your seat card. Please don’t forget to bring a valid ID as this will be required for Tournament Registration as proof of identity and age. Results of the APT Vietnam Korea Incheon 2019 will be posted on our Events & Results page.